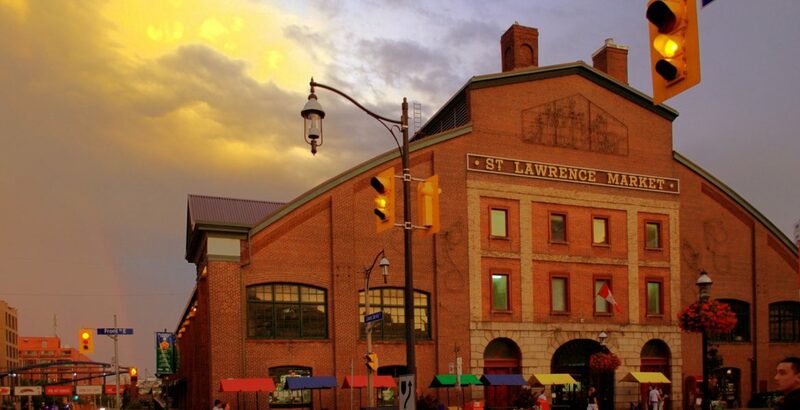 Ahhhh the St. Lawrence Market. It’s a pretty awesome place to visit. Which is why it’s also such a big tourist attraction in our city. There’s a little bit of history, a lot of food and some entertainment too. We like to buy our fresh produce there. 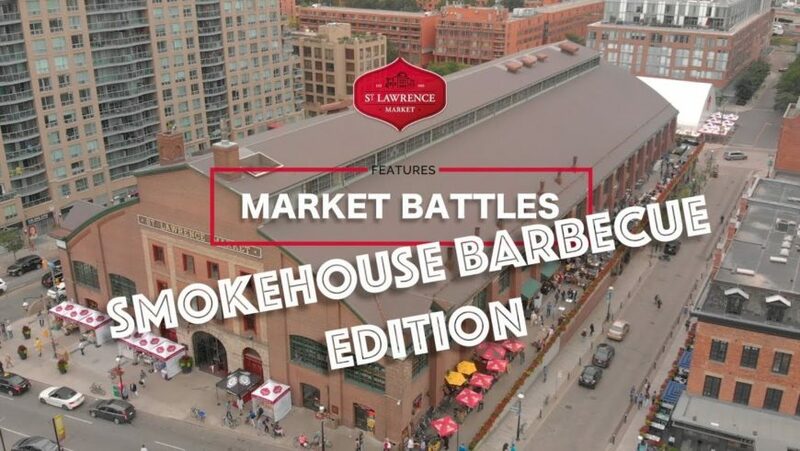 And our bulk food, our cured meats, maybe our cheese, and veal parmigiana, apple tarts, peameal bacon sandwiches… okay, we like to buy pretty much anything we can eat there. Are you getting hungry? Living next door, we’ve also discovered how much more the Market offers above and beyond weekly grocery shopping or a quick lunch on the go. First we discovered Evening at the Market (tickets on sale now for this year’s event!) Then it was Chef Scott’s Friday Night Market Feast (awesome date night idea, you won’t be disappointed!) And this summer they added the delicious Market Battles series to the rotation. 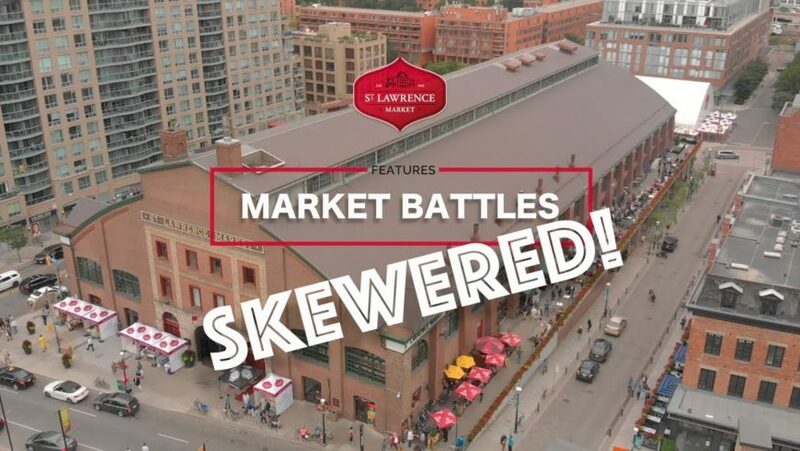 They hosted 3 Market Battles over the course of 3 Summer Months. 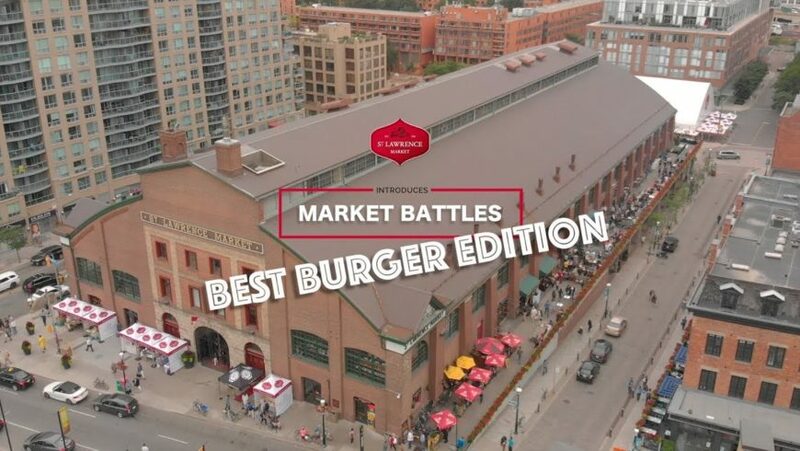 Each time, 6 Market vendors would vie for a “best” title. We love trying anything new that the Market does to entertain us and this was a great alternative to cooking dinner on those Friday nights. *WARNING* watching these videos may cause drooling and a rumbling in your stomach.